Let’s start exploring Vanilla 5 with a new feature which is not really a new feature as it’s more a reborn of a module : Vanilla Kpi. 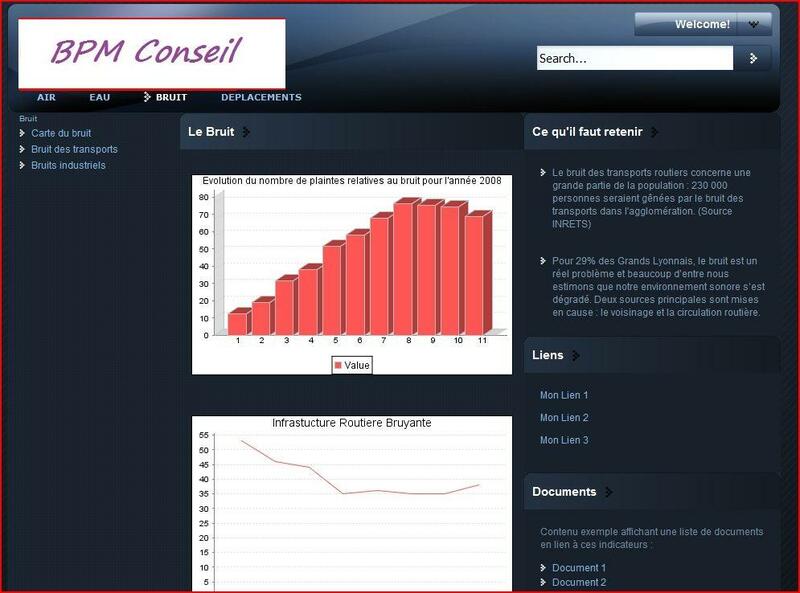 Our module FreeMetrics, first available in 2008 and deployed since that time, has been rewritted to give birth to Vanilla Kpi (amazing I found on my blog some post from 2008 on FreeMetrics), a comprehensive module to design, manage and deploy Kpi at enterprise level. 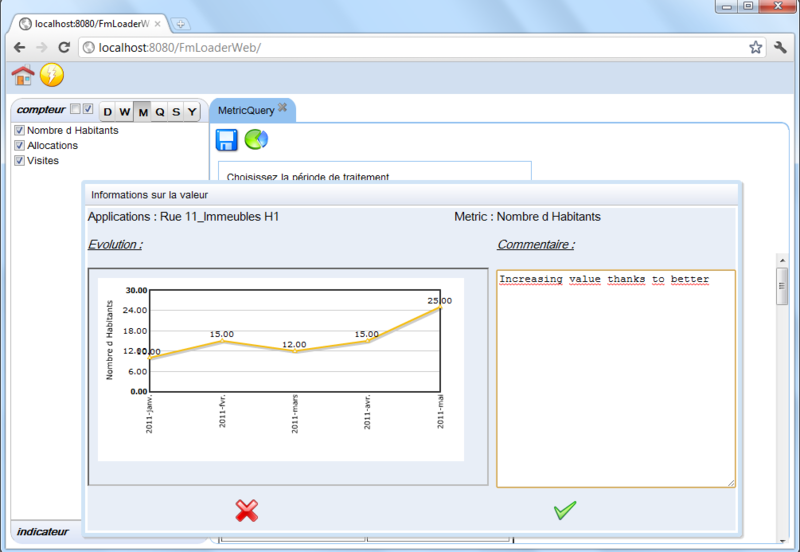 Concept is still the same : managing KPI, using dictionary, axis, measures and objectives (sorry for some other Bi platform, that don’t even have a Kpi repository & dictionary … how can you claim to have Kpi module ?). 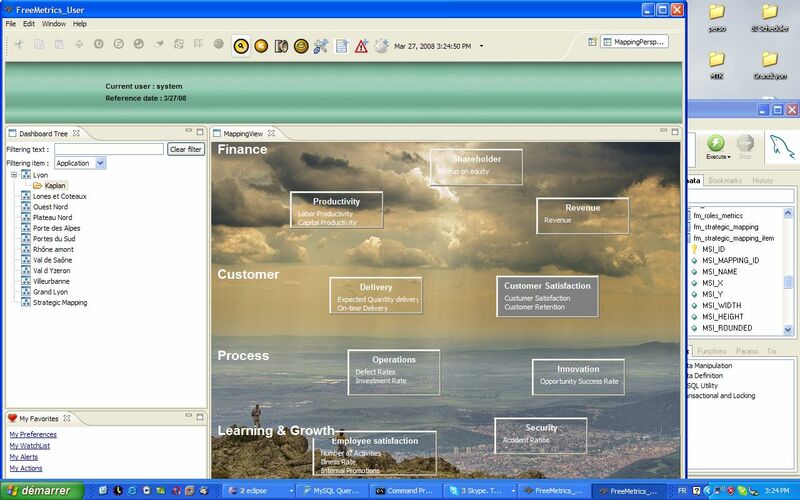 Using our experience of Kpi projects (since 2008 with FreeMetrics ! ), we rewrote Vanilla Kpi to match with the latest concepts of Kpi platforms, together with supporting Vanilla key features : dimension, secure metadata, integration with dashboard, reporting and cubes, OSM maps integration. 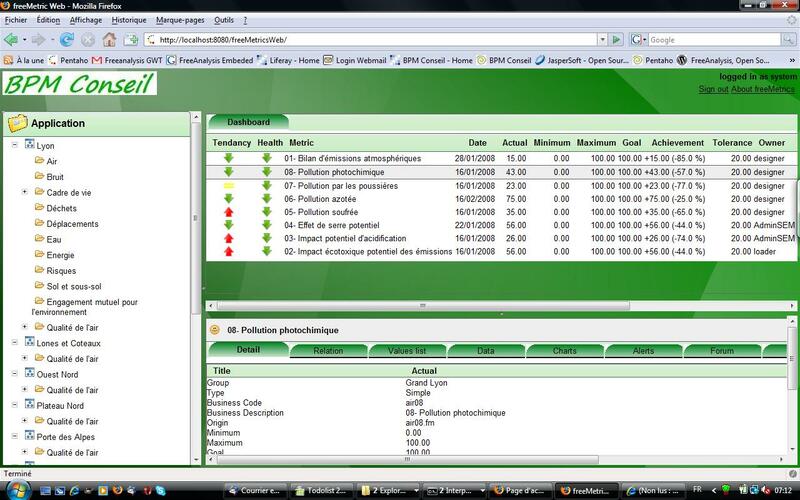 From our WebSite, you can find some information on Vanilla Kpi. You will be surprised to see that Kpi application, which takes hundred of days to develop and deploy with “non Kpi BI platforms” can take only 20 to 30 days to be in production, using Vanilla Kpi. Productivity and integration are the key words : you need to get your application up & running in a couple of months, not years ! 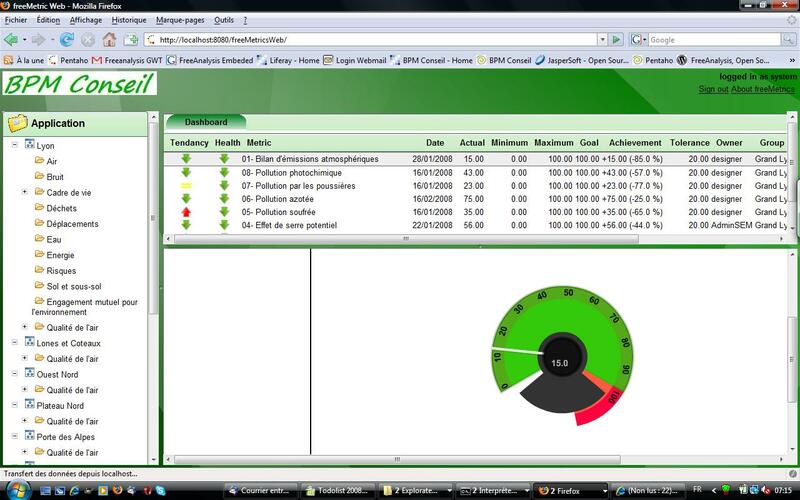 If you need to build your own reports and dashboards on your kpi data, Vanilla Kpi database structure is available through either an open API, or directly using our Vanilla Dashboard, Report or Cube packages … integration of secured data and development studios lead to more productivity : you can deploy a complex dashboard that will support custom security for hundred of groups in a few days. Vanilla Kpi empowers your datawarehouse architecture, by setting direct connection with your datamarts, taking advantage of the existing star schema with their dimension, level and measures capacities. 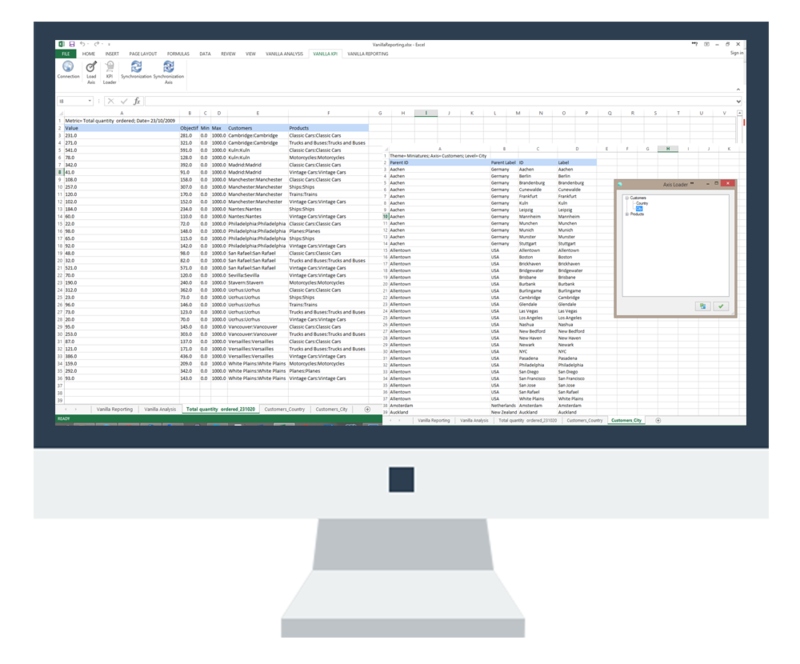 Best of the bread : you can manage your dimensions & measures directly from our Vanilla for Excel Add-Ins … just as simple as using Excel ! 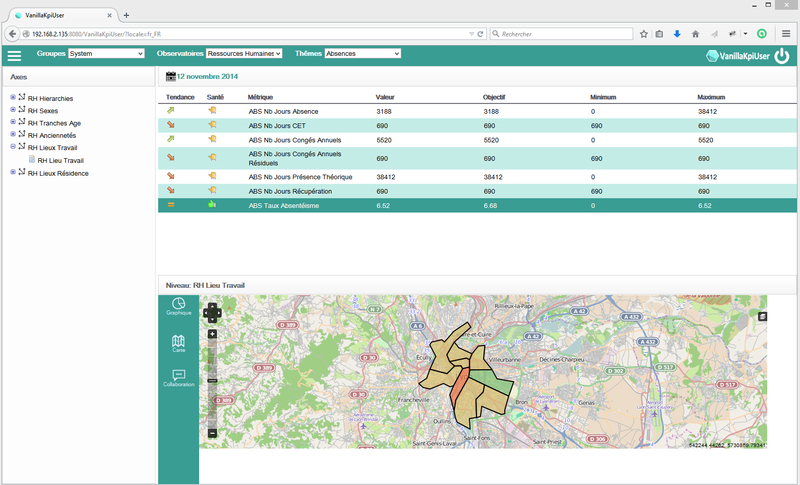 Thanks to Alain, we are pleased to announce that using FreeMetrics, our Balanced & Business Score Card platform, developpers can now design & deploy strategic maps at enterprise level. Strategic Maps are related to Kaplan’s maps, which allow different key performance indicators to be grouped in different manner, for different analysis objectives. 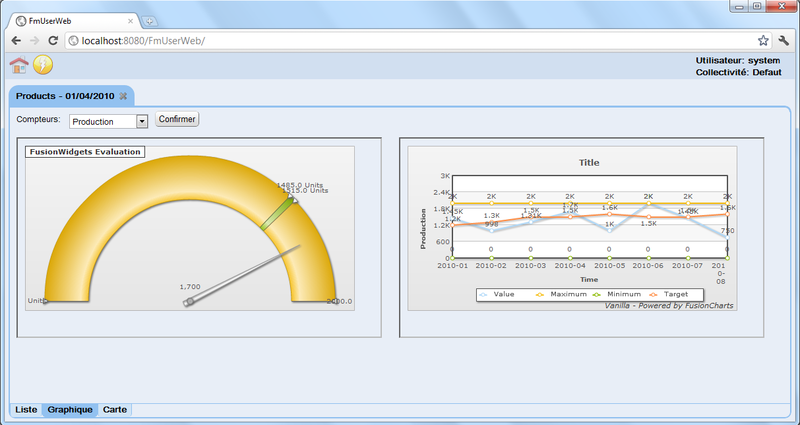 After FreeAnalysis and FreeDashBoard, we finally closed the migration of FreeMetrics Web using GWT Framework. 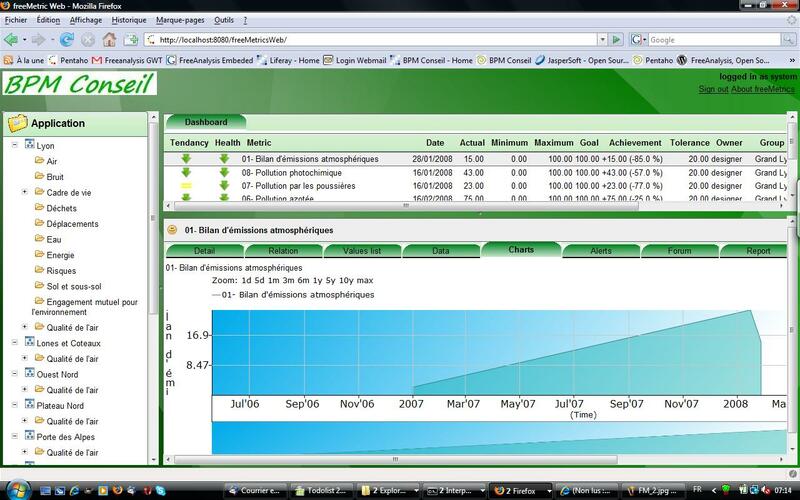 Previous version of FreeMetrics Web was based on Struts-Shale (summer 06). This ‘Shale’ version was nice (let’s say : Struts is very powefull), but we have decided to standardize all our Web platform on GWT. 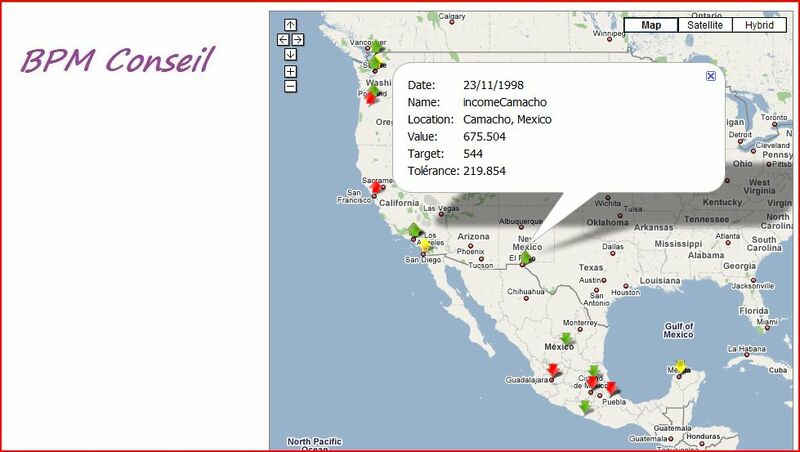 I have always been impressed by presentation such as Pentaho / GoogleMap integration, not from a technical side, but from a user perspective : this is usefull for any user to see results on a map. 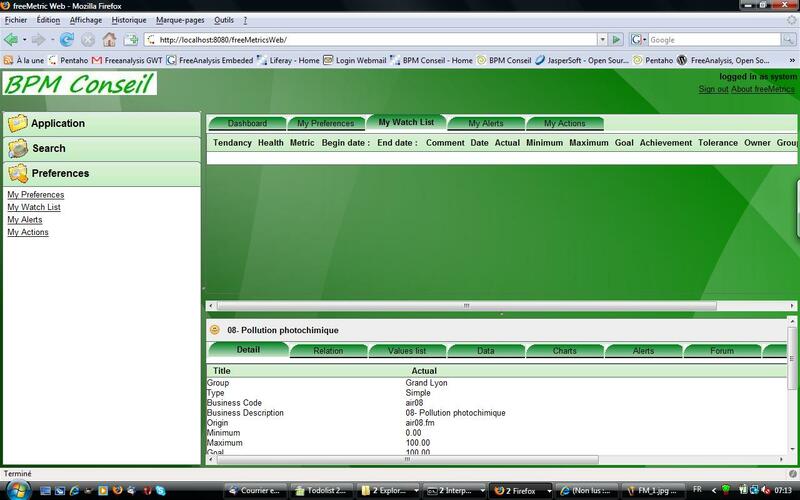 Coming back in 2007, Pentaho introduced an Ajax framework to provide smoother methods to draw ‘map interface’. 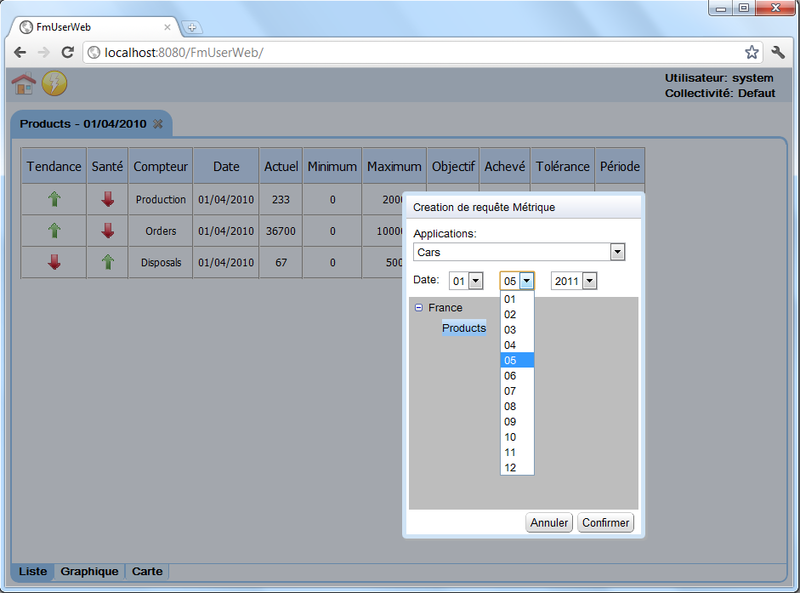 But Pentaho do not provide any smooth mechanism or database to manage metrics. 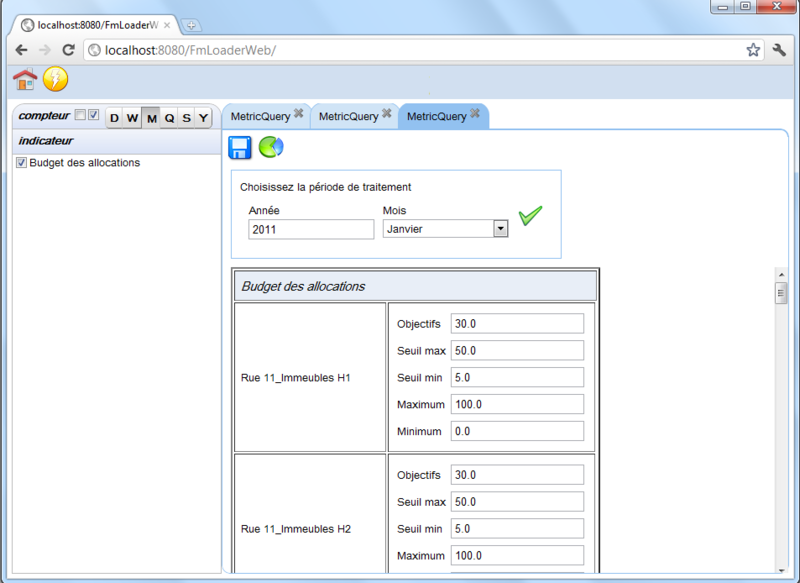 All the “metrics like” displayed on a map are coming from any SQL statment or xaction dataflow. 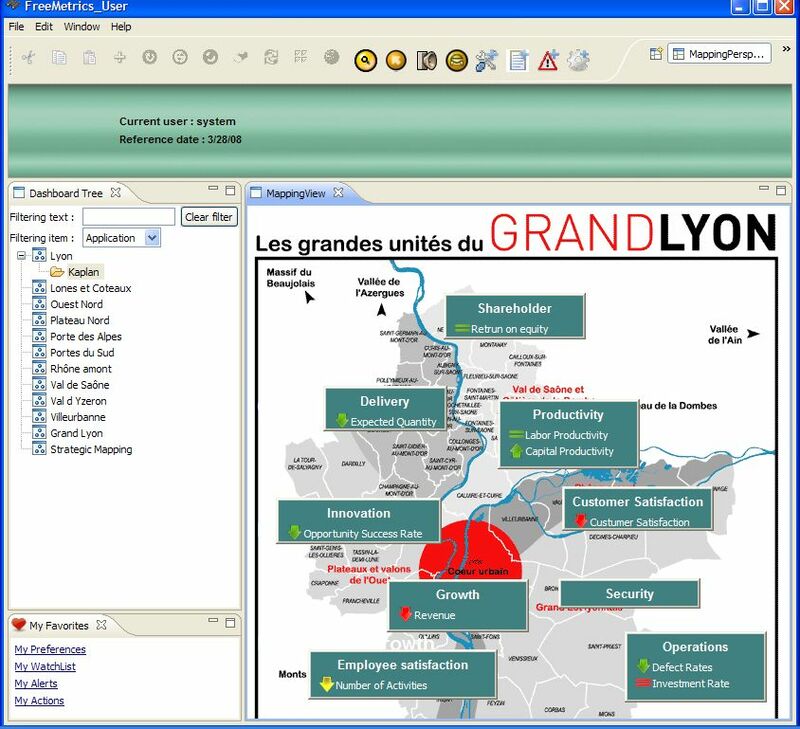 This is powerfull for a single map presentation, but difficult to maintain at the enterprise level. – Finally, we have delivered a “map” object (currently a GoogleMap interface) to display any metrics values for a set of dimension’s members, or all the metrics for a specific dimension member.